The McGill flag atop the Arts Building is lowered to half-staff today, Tuesday, Nov. 15, in honour of Leonard Cohen (BA55, DLitt92), who died last week at the age of 82. Meanwhile, University Advancement has established a fund in Cohen's honour. The McGill flag atop the Arts Building is lowered to half-staff today, Tuesday, Nov. 15, in honour of Leonard Cohen (BA55, DLitt92), who died last week at the age of 82. Flags across Quebec are lowered as well, as the government of Quebec honours the passing of the legendary poet and singer-songwriter. Meanwhile, University Advancement has established a fund in Cohen’s honour. “Gifts to this fund will support endeavours that embody the spirit of his life,” according to the UA Facebook page. The subject of how Montreal might honour its famous son has already been broached in the media. Cohen’s death was announced last Thursday, Nov. 10, after his burial in the family plot at a Montreal cemetery. He had died on Monday, Nov. 7, at his home in Los Angeles. A memorial will be held in Los Angeles, according to posting on Cohen’s website. Cohen, who was awarded the Companion of the Order of Canada in 2003 and inducted into the Rock and Roll Hall of Fame in 2008, ranks among McGill’s most notable alumni. His career as a poet and troubadour stretched over six decades, with his strong connections to Montreal evident in much of his work. In 2011, Cohen said through his publicist that he was “deeply honoured” to have placed among the top three notable McGillians in a contest organized by the McGill Alumni Association to mark the University’s 190th anniversary. Cohen had also been inducted into the Canadian Music Hall of Fame and the Canadian Songwriters Hall of Fame as well as being awarded one of the Princess of Asturias Awards for literature. With a sorrowful baritone that stirred the senses and a gift for poetic language that touched the soul, Cohen was remarkably prolific. His first volume of poetry was published while he was still an undergraduate in McGill’s Faculty of Arts and since then, he had used his abundant talents to inspire and move generations of readers and listeners around the world. Cohen’s early poems were published in the McGill student paper The Forge, and with the help and mentorship of McGill professors and poets Louis Dudek and Howard Files, Cohen’s first volume of poetry, Let Us Compare Mythologies, went on to inaugurate the McGill Poetry Series. Cohen was born in Montreal in 1934 and obtained a degree in English literature in 1955. By the time he put out his first album in 1967, Songs of Leonard Cohen, he had already published three volumes of poetry and two novels. 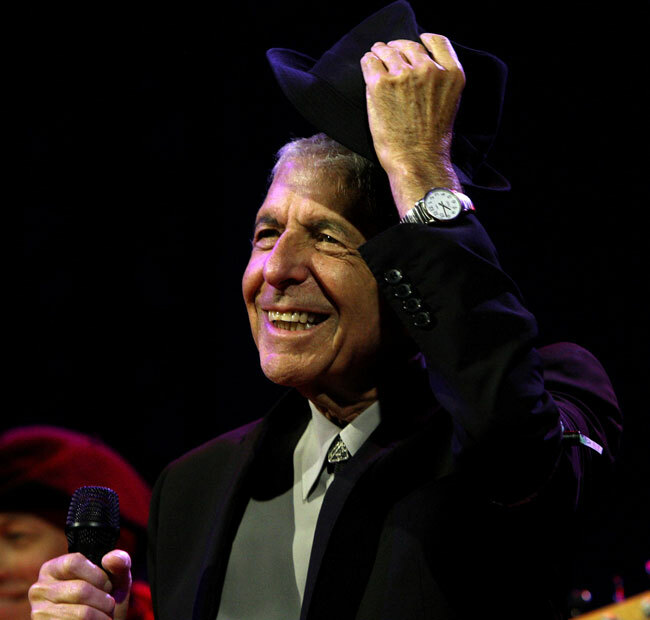 Since then, Cohen has issued more than a dozen other albums of original material and his songs have been covered by artists around the world ranging from Beck to Kid Dakota. His most recent album, You Want It Darker, was released on Oct. 21, 2016. I hope McGill will come up with an appropriate way to honor his legacy, in a way that that alumni can help support– he touched so many of our lives. R.I.P,Cohen. We will always rember you.